Sasha Matthews’ Everyday Superheroes project started off as a fundraiser for ACLU. Her idea was to draw real people doing what they love in life, but in the form of a superhero. This one was commissioned by my grandma Patti Ettkin Matthews Rohrlich. She loves to garden. 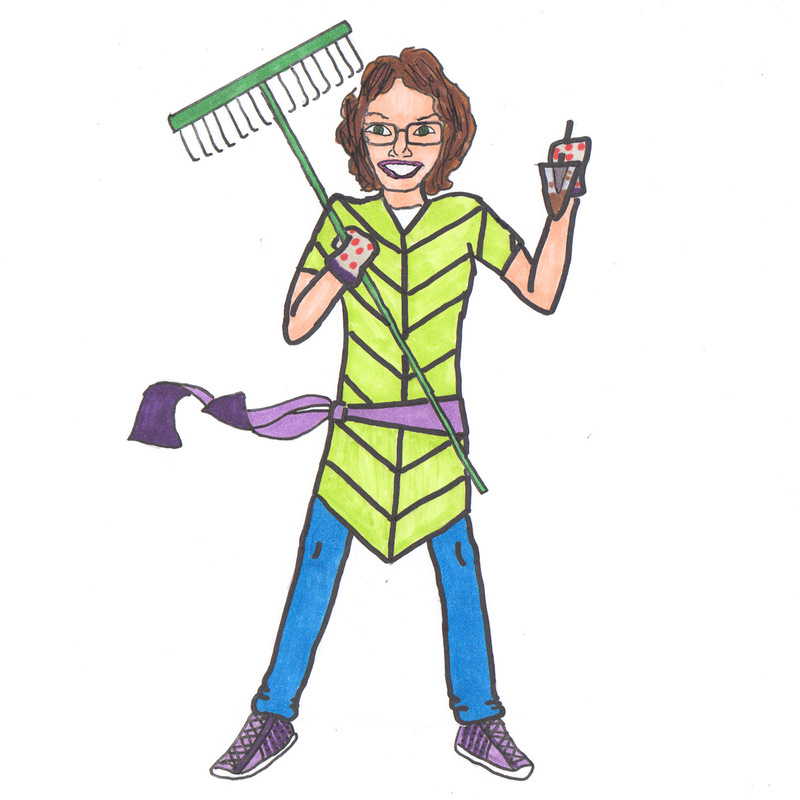 Read more about the Everyday Superheroes project on Amy Poehler’s Smart Girls. Sasha Matthews (Wikipedia) is a cartoonist, activist, and 9th grader. She is known for her “Everyday Superheroes” ACLU fundraiser, her work on Microsoft’s “3D Holiday” campaign, and as a guest on NBC’s “Little Big Shots.” Her commentary has been published by The Nation, Boing Boing, Hyperallergic, and The Mary Sue. Scholastic revised the participation terms for its national Art and Writing Awards in response to her advocacy. When she was in 2nd grade, HBO animated her brief history of the universe. Sasha’s mix of cartooning and activism has been recognized by Nobel Prize winner Malala Yousafzai, Crain’s “20 Under 20,” the New York City Council, US Senator Kamala Harris, and former First Lady Michelle Obama. She has been a speaker at the NYC Women’s March, ACLU’s Membership Conference, the United Nations Girl Up Summit, and the Clara Lemlich Awards at the Museum of the City of New York. Four of her self-published comics are available from local bookstores and online. More info on the RumbleComics.com home page.